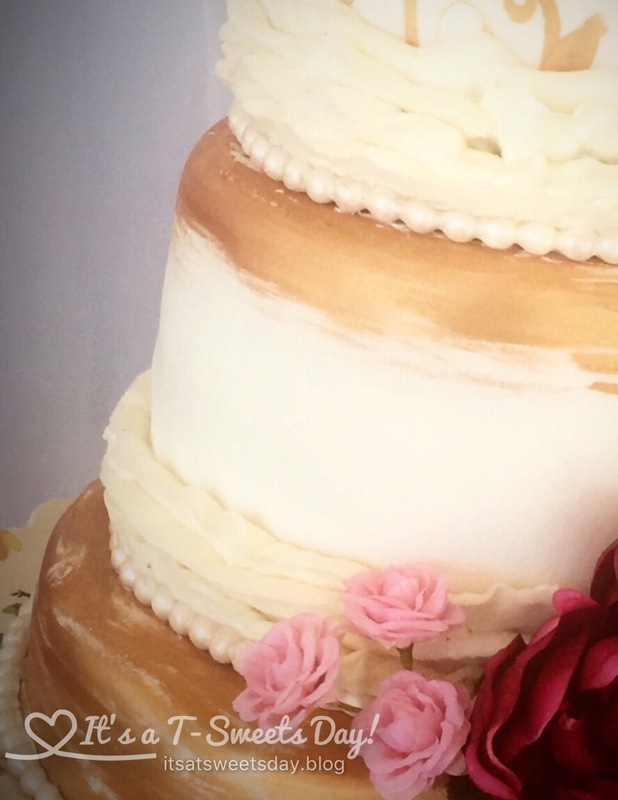 It’s a Wedding Cake Day! 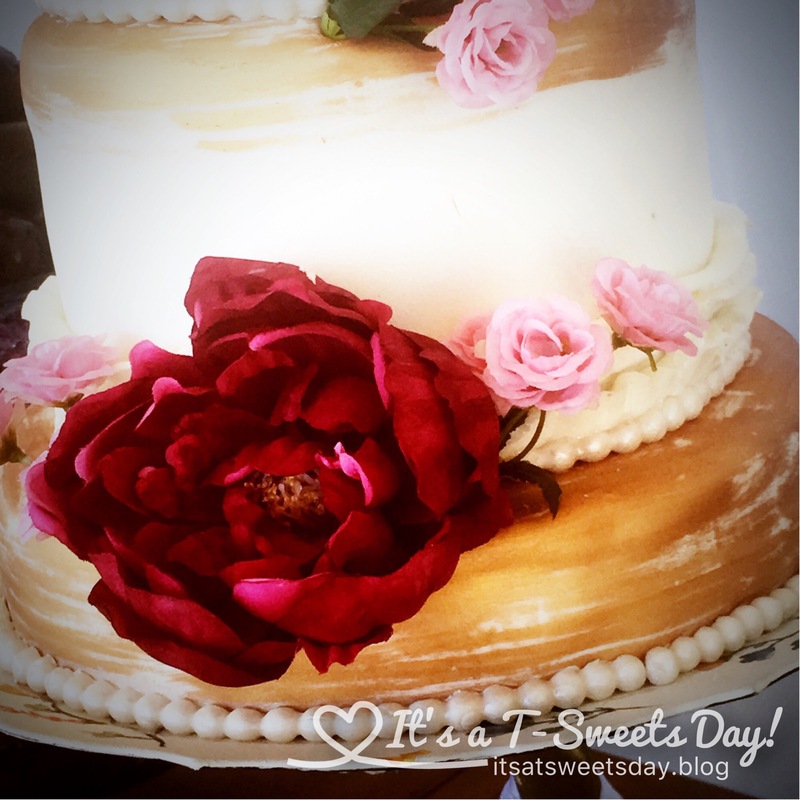 – Chelsy and Jaron’s Gluten Free Cake – It's a T-Sweets day! 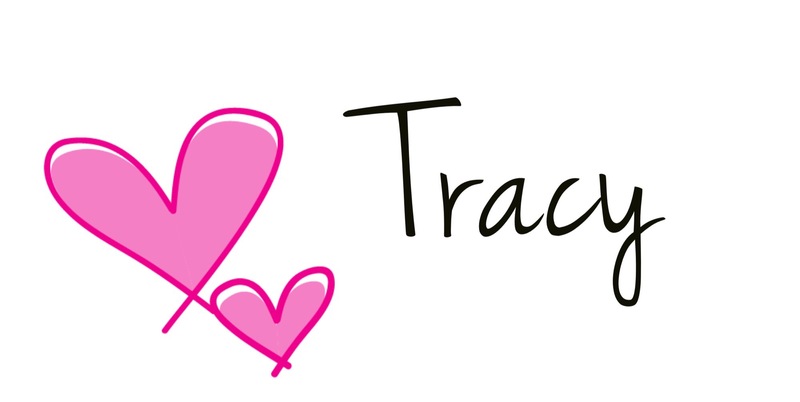 Published on February 26, 2017 February 26, 2017 by Tracy @ It's a T-Sweets Day! My friend’s daughter got married today and I was asked to make her cake. Yea! 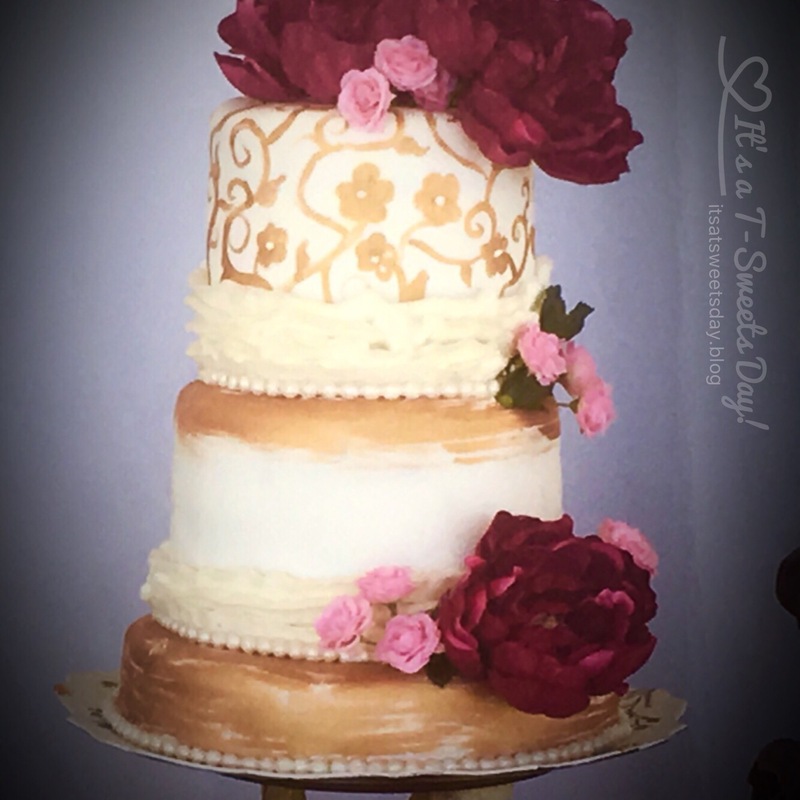 I really like making wedding cakes:) I love to see what ideas the brides come up with for their design. 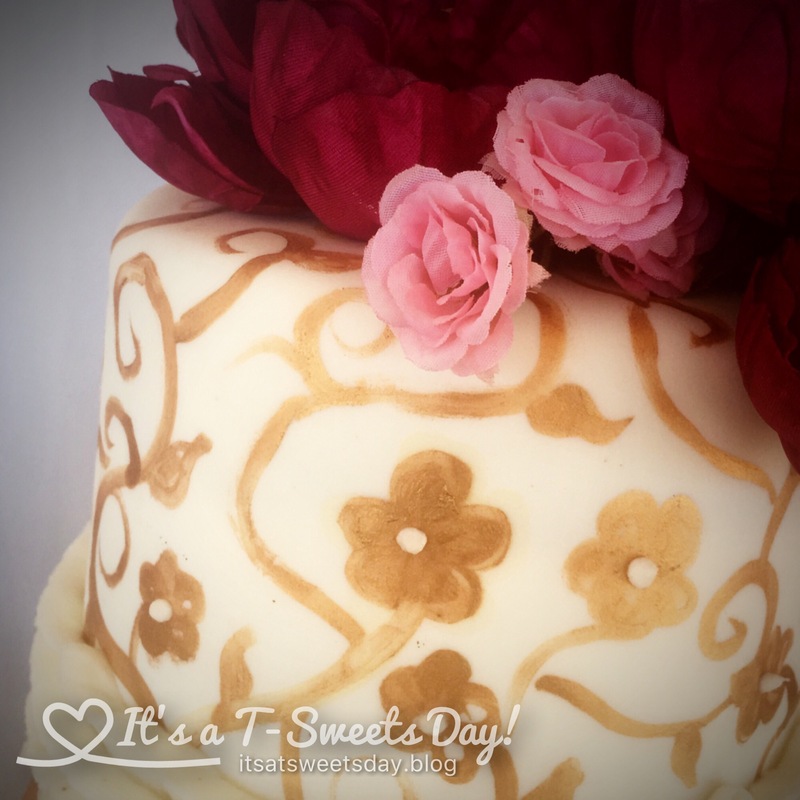 Chelsy wanted a hand painted cake with large strokes of gold. She wanted a small bottom layer with two tall upper layers. I think it adds a fun dimension to it:) This was the first Gluten free cake I have ever made. Chelsy brought me some Namaste chocolate cake mixes that she can eat. I was a bit timid to give them a try, but was very pleasantly surprised. It tasted delicious! I especially liked it paired with my homemade fresh raspberry jam filling. SWEET!! Next Sweet-Haus CAL- The Sunday Shawl Photo Shoot! Oh Kate, that sounds wonderfully delicious!!! Please do send it to me:). Thank you, thank you! You are so crazy talented in so many ways. Beautiful cake! 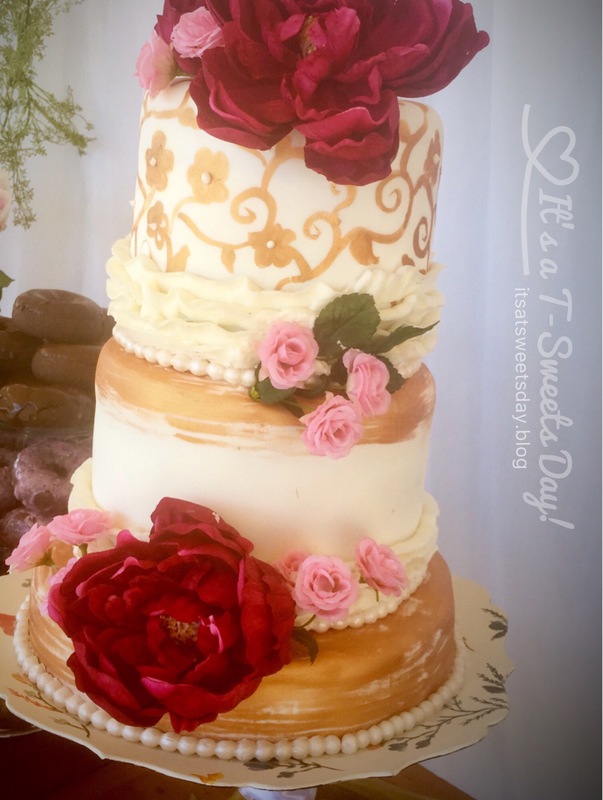 Another beautiful cake made with love! Gorgeous cake, Tracy! Love the design. I think you and that lovely bride made a great team! Now I can’t decide between asking for cookies or a cake! That’s is a beauty!! Ah–decisions decisions….I recommend the cookies! Yummy! !